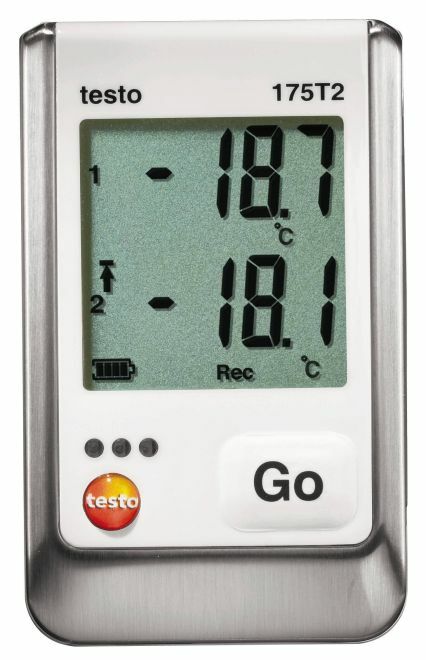 The mini temperature data logger testo 174T is ideal for continuous monitoring of storage temperature, for example of food or pharmaceutical products. 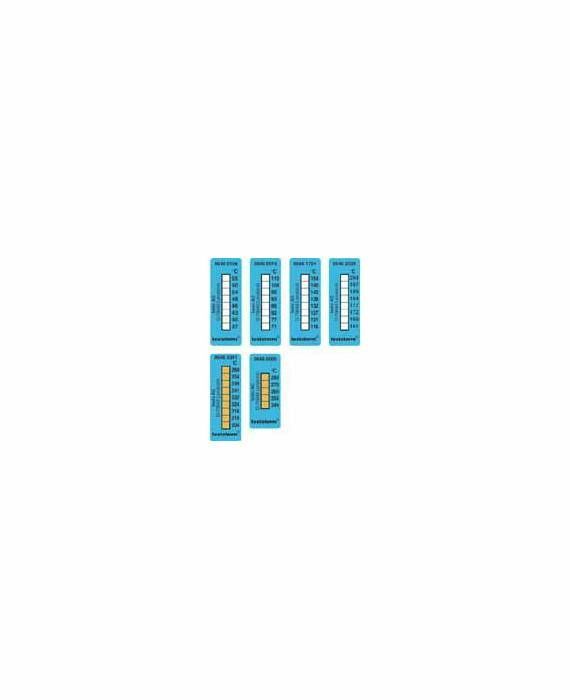 It is also suitable for temperature control in refrigerators or cold stores. 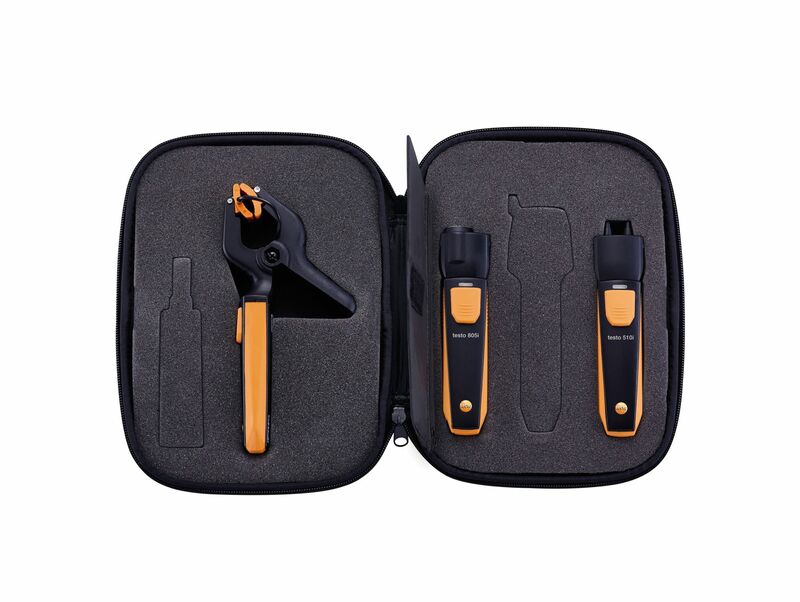 If case of food and pharmaceutical products, the storage temperature of the goods should not exceed specific limit values under any circumstances. 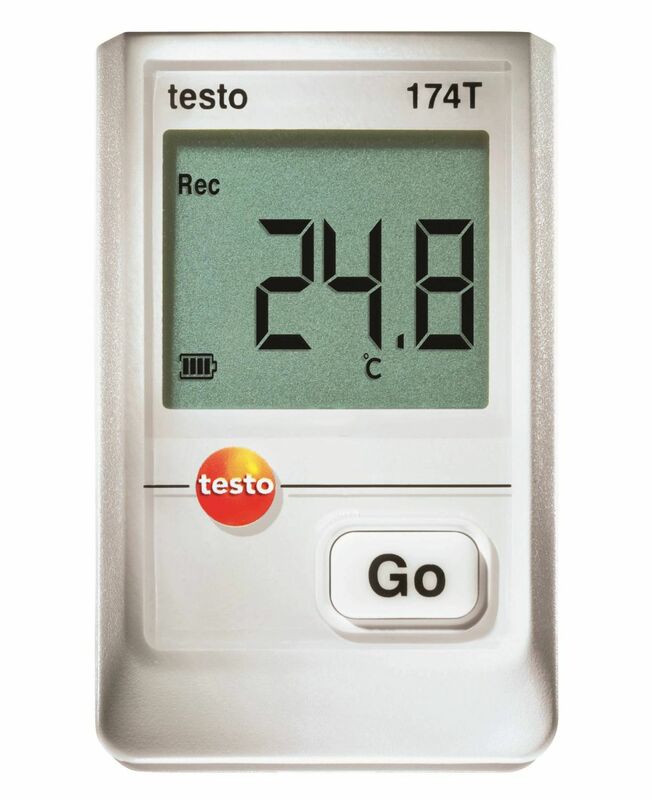 Testo 174T mini temperature data logger helps you comply with the specified temperature ranges. 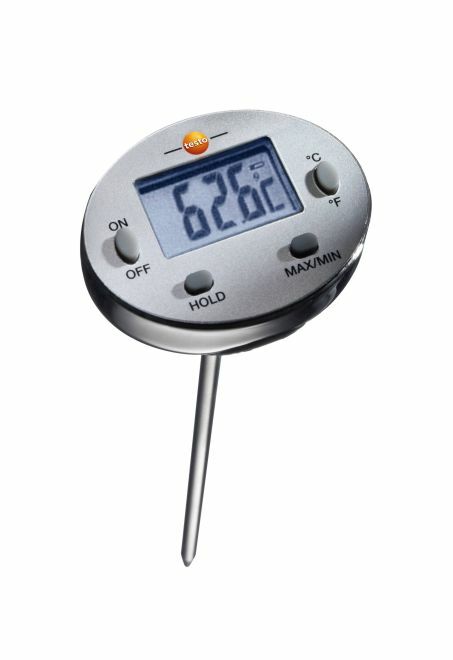 It records the temperature values reliably and thus ensures uninterrupted measurement data recording and documentation. 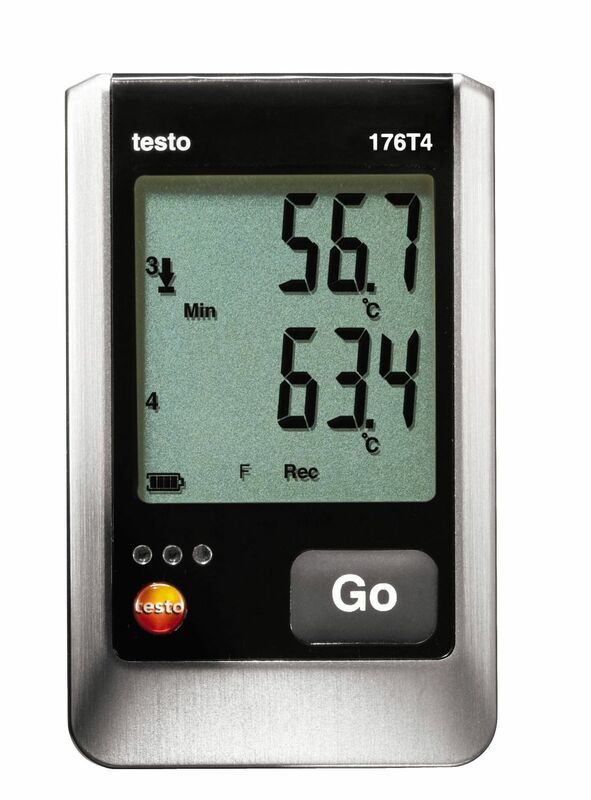 You can save up to 16,000 readings with testo 174T mini temperature data logger securely. 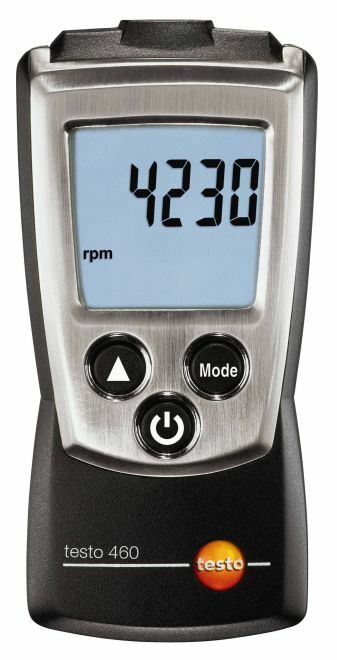 Because measurement data you have saved will not be lost even when the battery is empty or being replaced. This means a high level of data security is guaranteed. 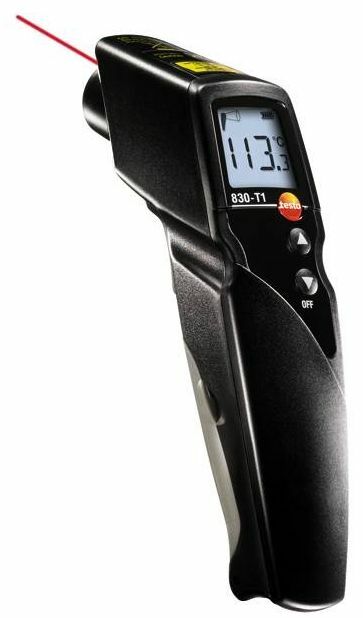 You can easily and quickly read the current temperature measuring value on its large display, along with any possible violations of limit values. 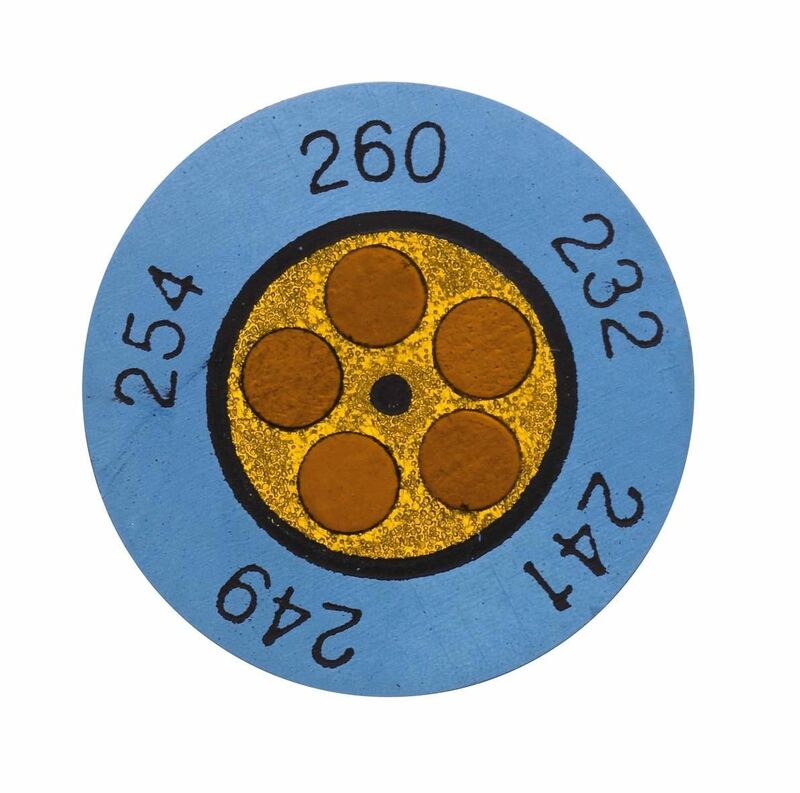 The integrated NTC sensor stands for a high level of accuracy. 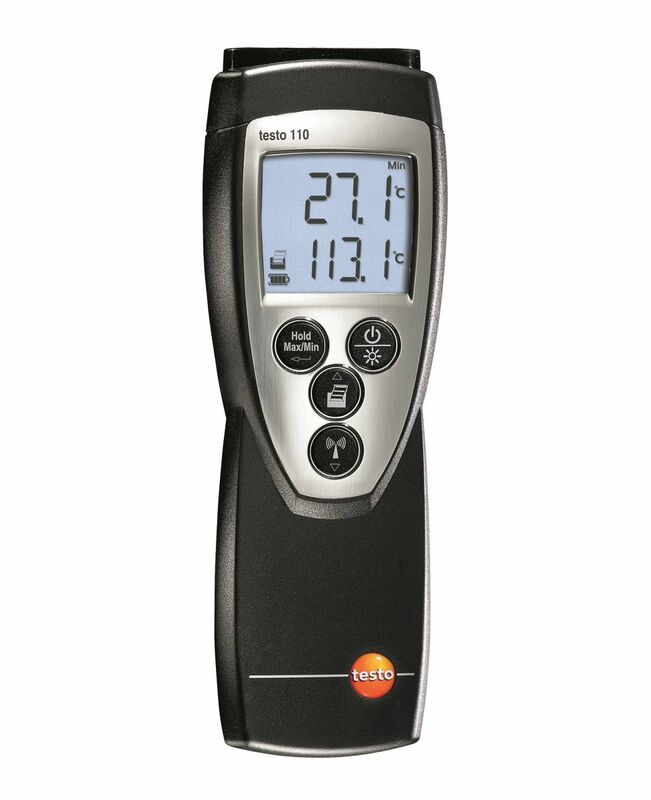 Its large measuring range, from -30 to +70 °C, and its compact design make testo 174T temperature data logger a competent support for virtually every kind of temperature recording. Testo174T mini temperature data logger meets the requirements of EN 12830 and is HACCP-compliant, as well as having international HACCP certification, which means it is ideally suited for measurements in the food industry (e.g. 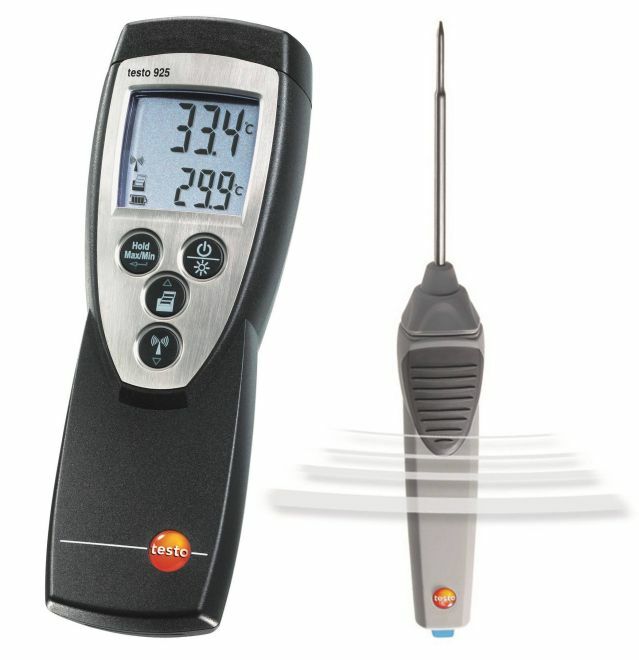 for storage temperature measurement). 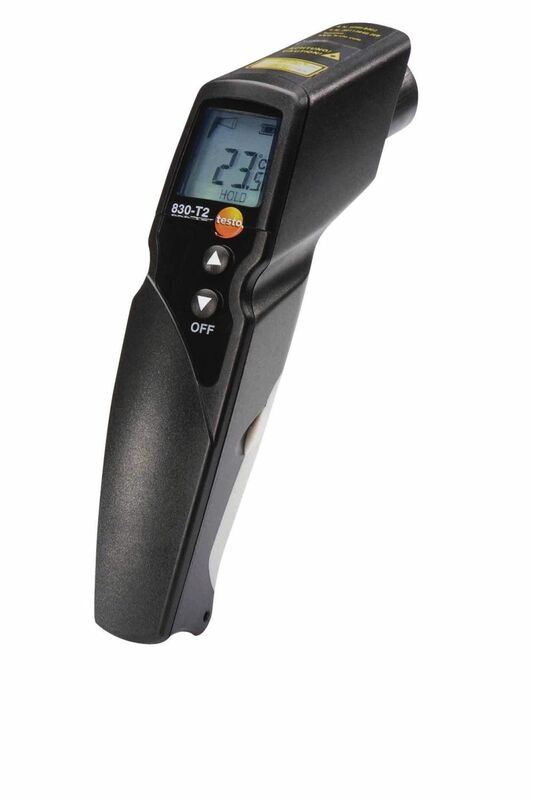 Particularly practical: the data logger has water spray and jet protection according to IP 65. 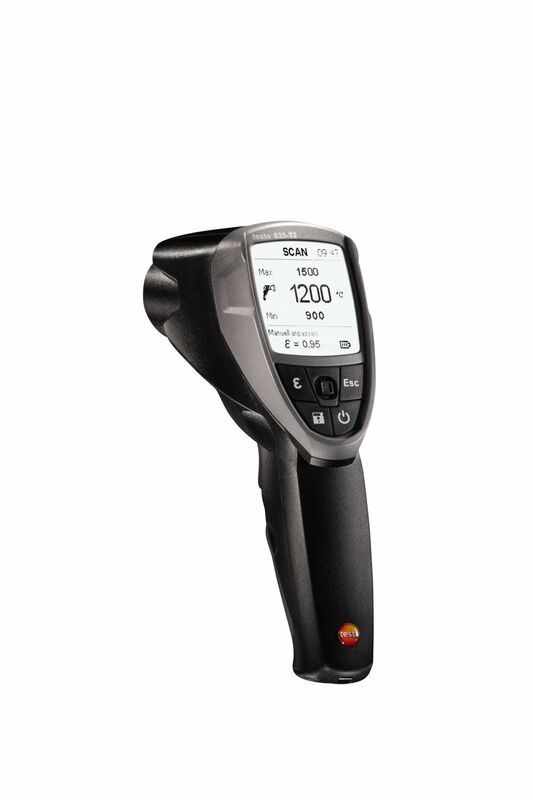 This enables it to be left in the measuring location even when warehouses are being cleaned. 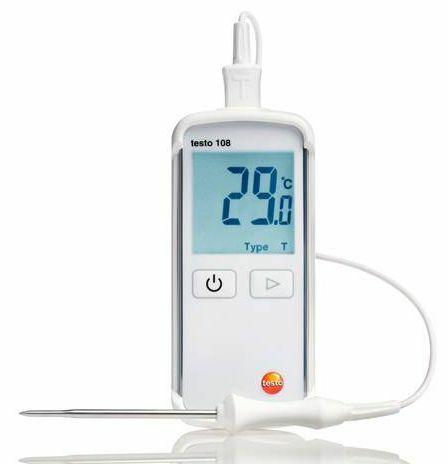 The temperature data logger is also suitable for temperature control in refrigerators or cold stores, because it can be used at temperatures down to -30 °C. 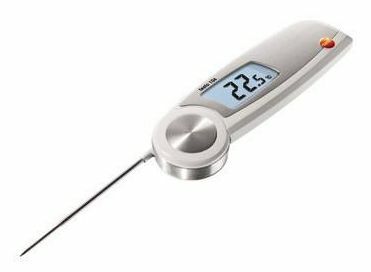 can also be ordered as an option – the best solution for special requirements according to CFR 21 Part 11 in the pharmaceutical sector You need a USB interface for programming and reading the mini temperature data logger. 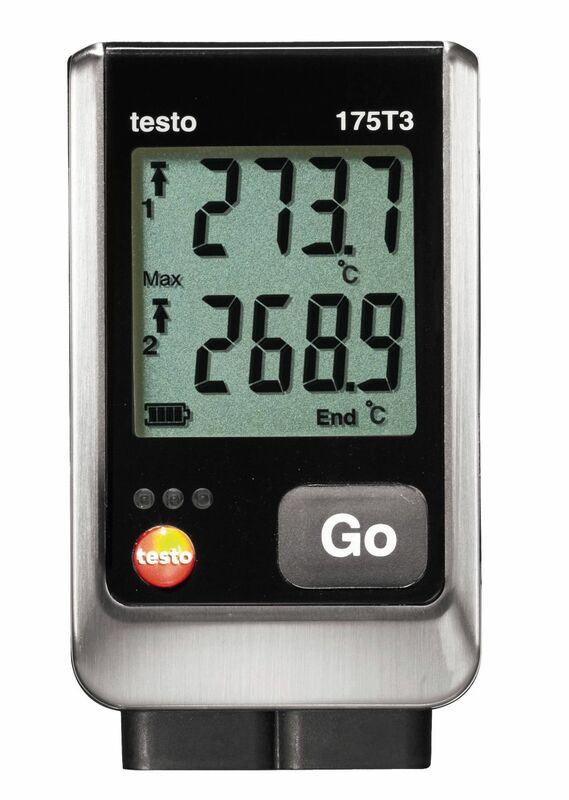 Testo 174T mini temperature data logger, including wall bracket, batteries (2 x CR 2032 lithium) and calibration protocol. 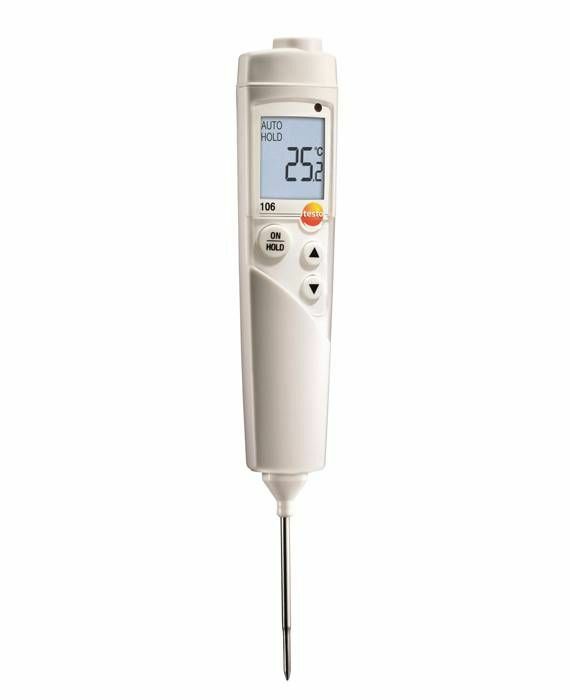 Many foods and drugs have to be stored within a specific cold temperature range. This can be done in individual cooled store rooms, but also in specialised cold stores or cold warehouses with high-rack facilities. 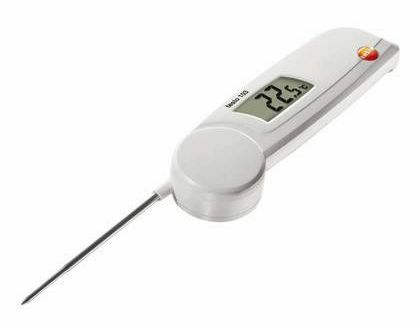 The temperature must be continuously documented in all these cold storage facilities, because strict rules apply to quality management in both the food and drugs industries. 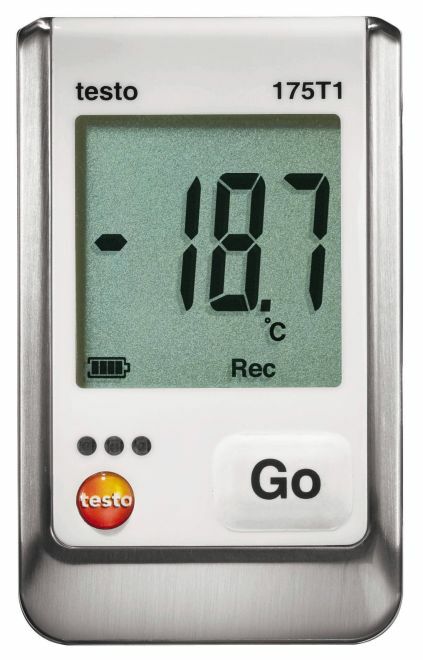 Data loggers are usually installed at the so-called critical control points (CCPs) of the cold room, in order to identify any possible temperature deviations and to introduce appropriate countermeasures. 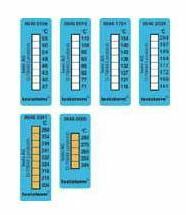 Critical points are for instance doors or passages through to other temperature areas within a warehouse. 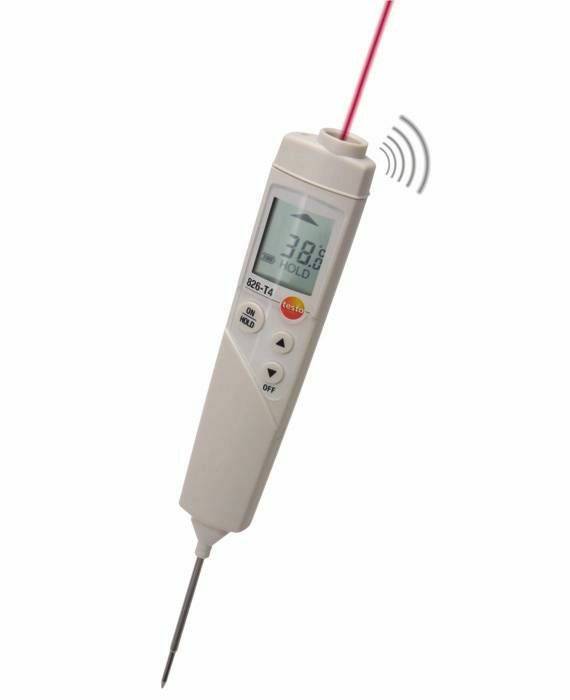 For all goods which react sensitively to temperature fluctuations or have to be stored within a predefined temperature range, uninterrupted measurement data recording and documentation play a major role. 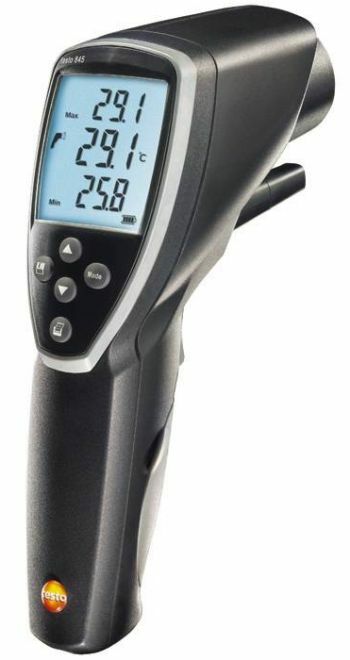 Incorrect temperature conditions during transport can lead to major losses of quality, including the total loss of value of the products that require monitoring. 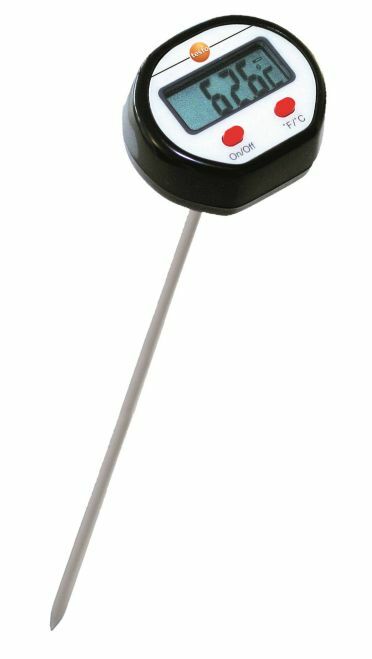 Using a data logger, shipments can be checked for compliance with the specified temperature ranges and the data can then be read, analysed and archived by means of special software.